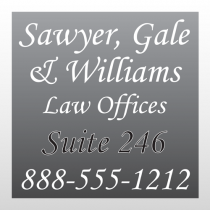 Law office window lettering is a great way to help you get effective advertising or exposure from your window space. 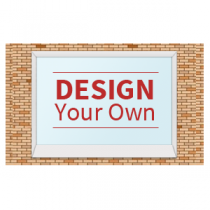 Use our unique online design tool to create your stunning window display. 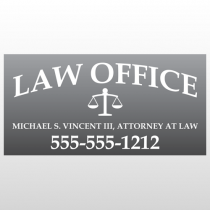 Eye-catching law office window lettering has been shown to increase visibility and client leads for any attorney or law firm. Window letters are printed on our standard calendared vinyl. This durable vinyl will hold up for several years indoors or out. You will receive individually cut out letters that are pre-masked and ready to apply to your window. Window lettering can be removed fairly easily. This is great if your information changes frequently or you’re just wanting a new look. It can also be a long term solution to display your business name or information on a store or office window.